Twenty years later, she started scribbling short stories about her favorite TV shows, giving them lives more to her liking - and the elusive happy ending. Not long after, a dear friend dragged her to a local writers’ meeting. After winning multiple writing contests and making the finals in the Romance Writers of America’s prestigious Golden Heart contest, she now spends her days, and nights, writing contemporary romantic fiction with lots of emotion, plenty of surprises, and, of course, the happily ever after. Jason has done 461 romance covers breaking Fabio's record. Why should I care you ask? Guess whose cover is number 461? That's right. 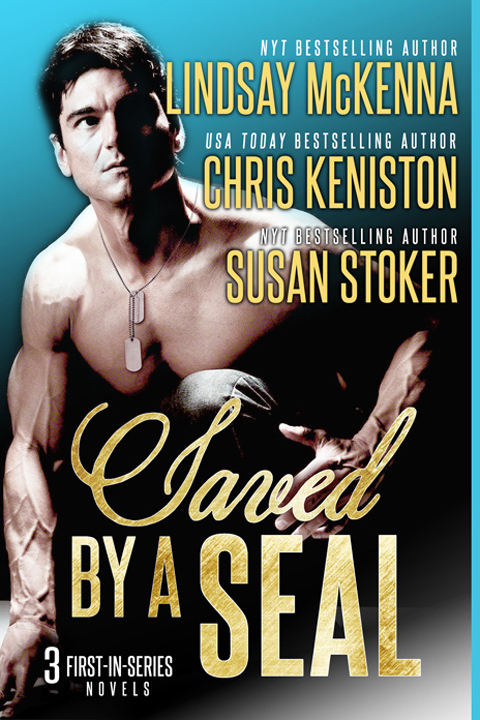 SAVED BY A SEAL is the cover that broke Fabio's record! The authors of SAVED BY A SEAL, Lindsay McKenna, Chris Keniston and Susan Stoker, sure hope this sells more books for the Disabled Vets ! - It's rather cool that a charity anthology broke Fabio's record!